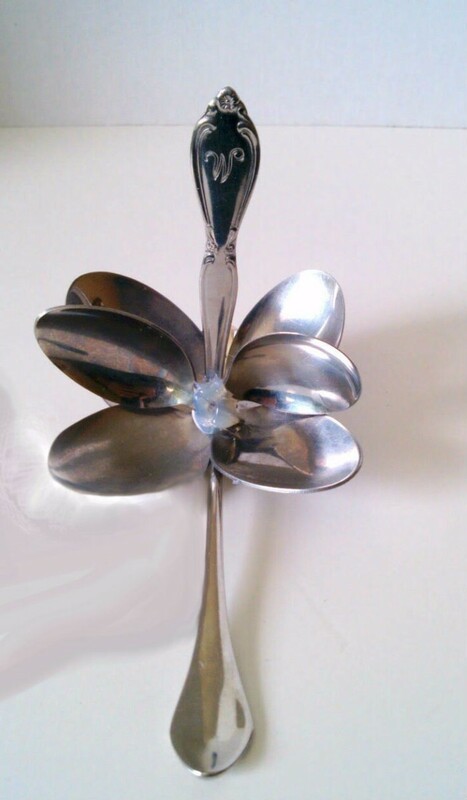 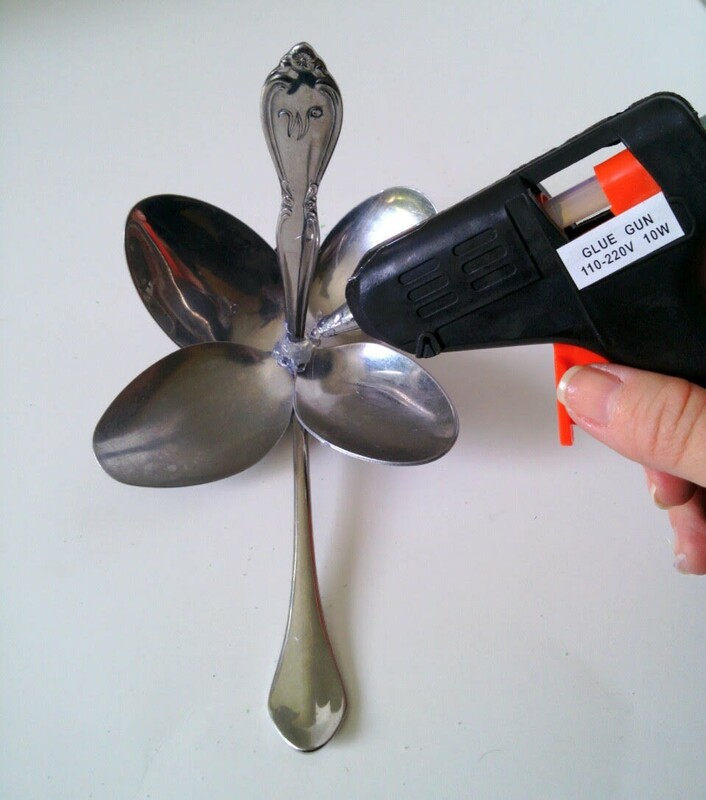 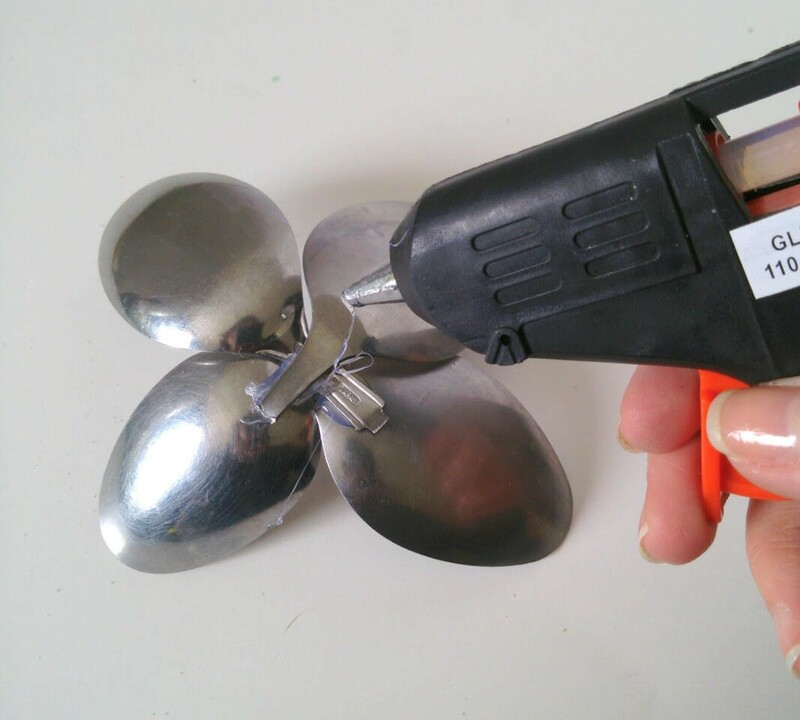 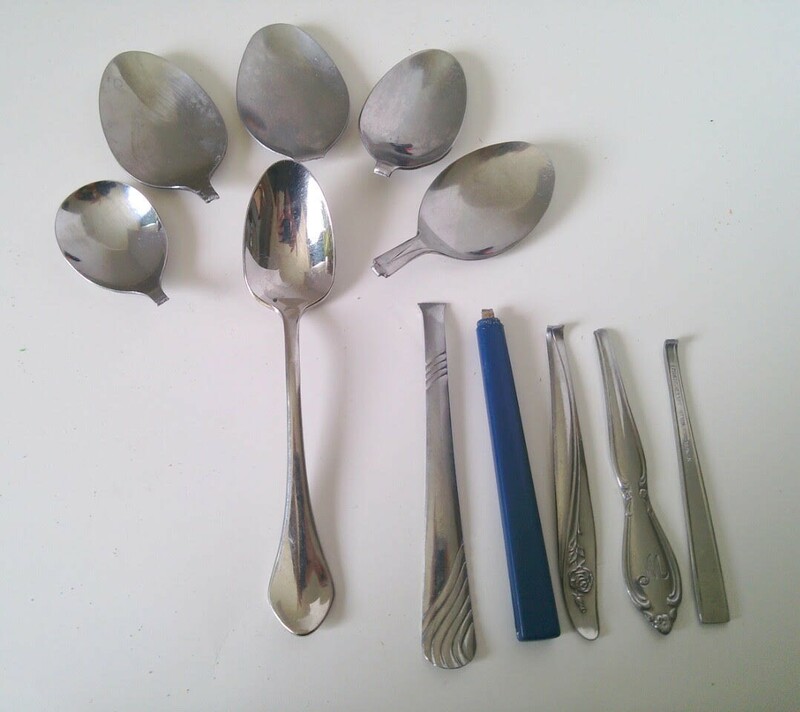 Here is a way to sculpt a flower out of old spoons. 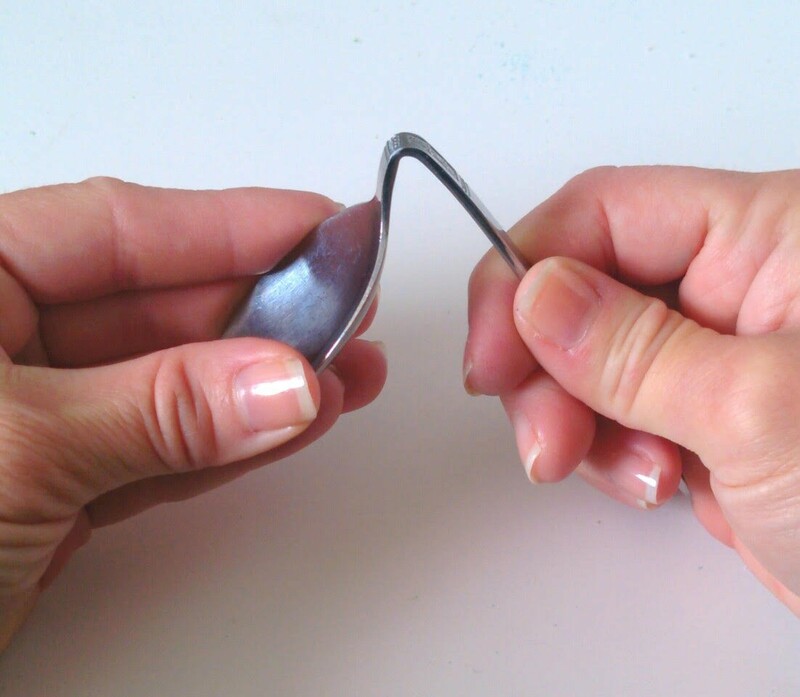 Bend all 6 spoons until they break off. 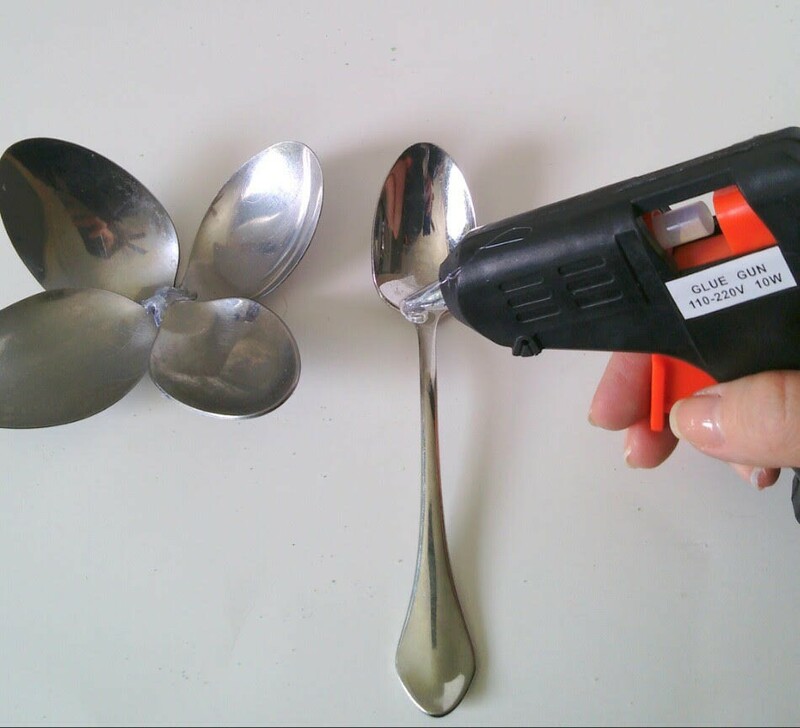 Keep 1 spoon unbent. 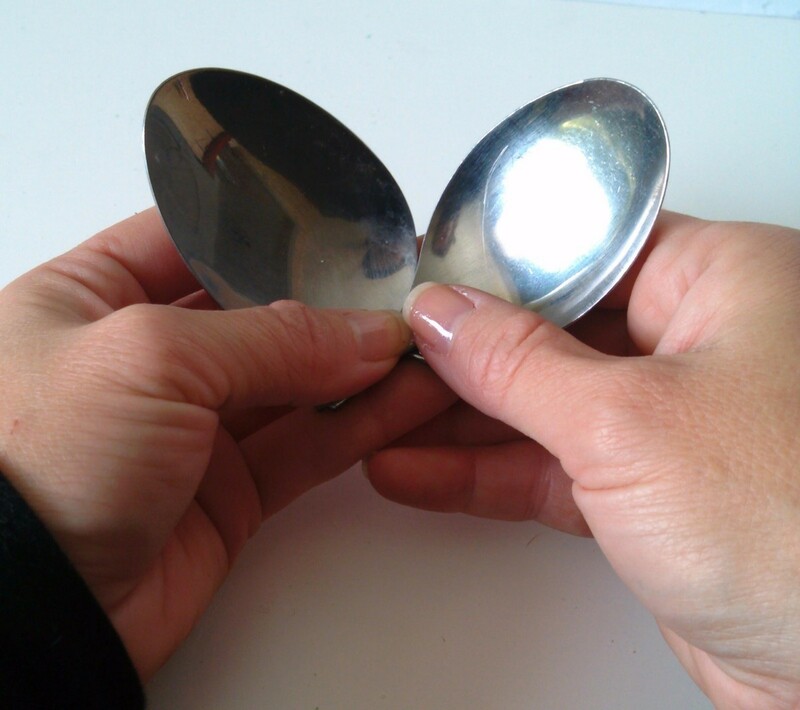 Start with two spoons (petals) overlapping each other. 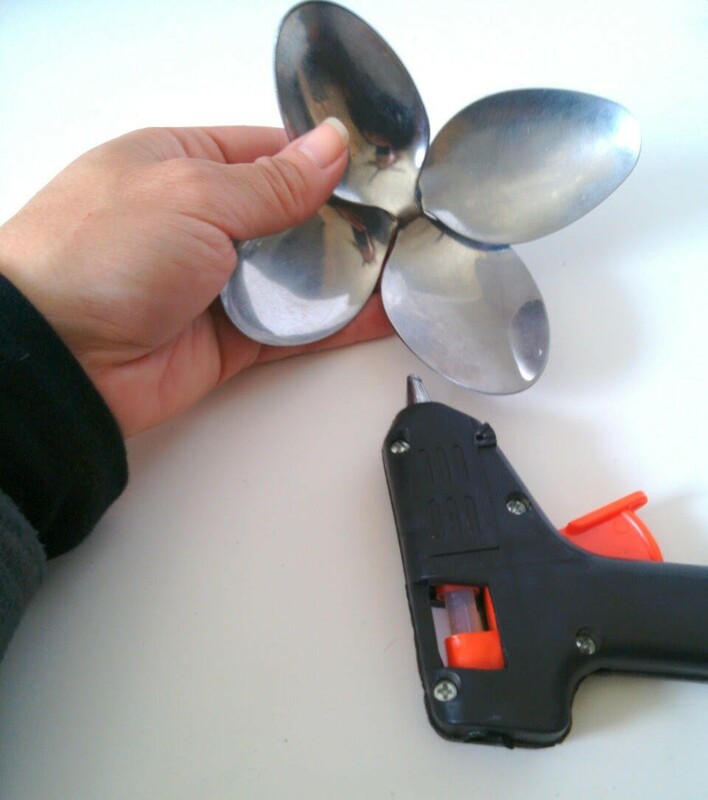 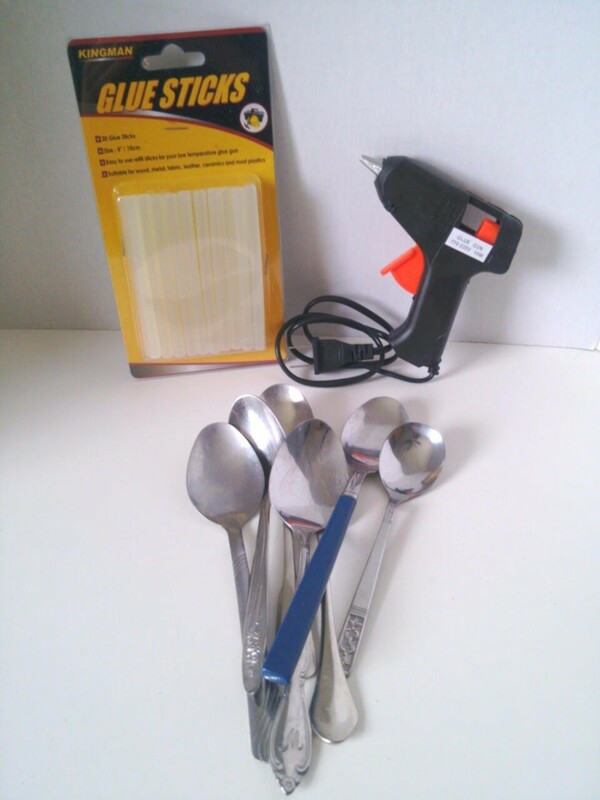 Use the hot glue gun as shown. 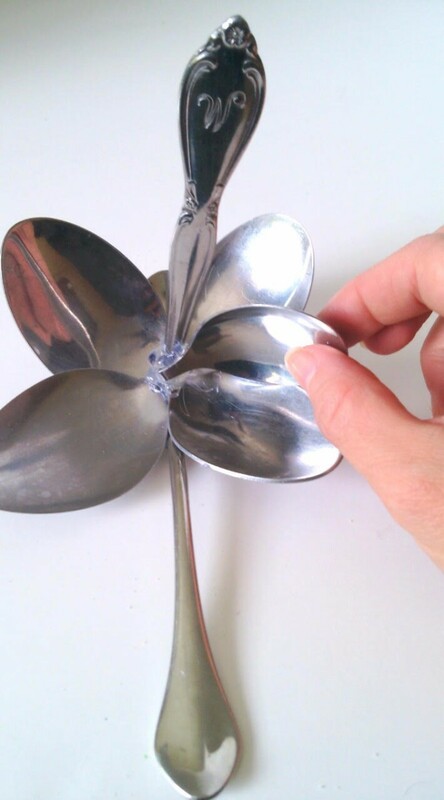 Finish all four petals. 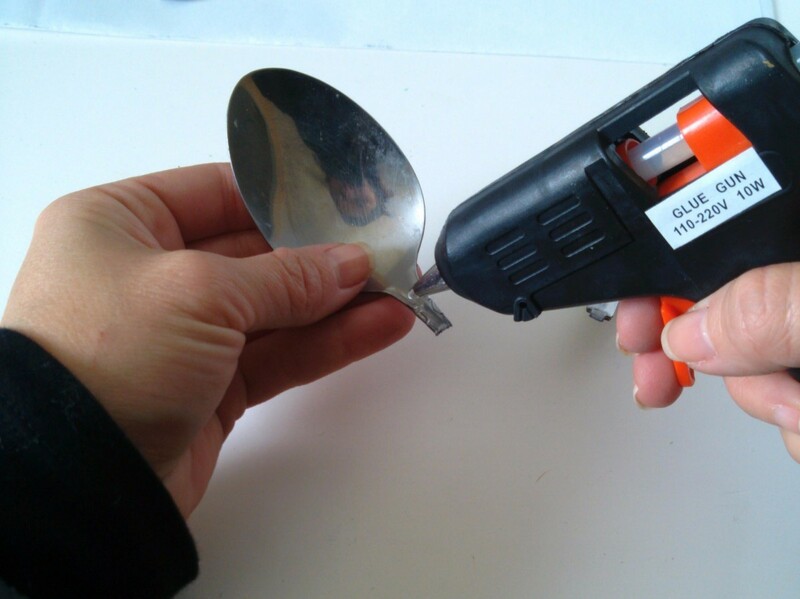 Glue the front and back. 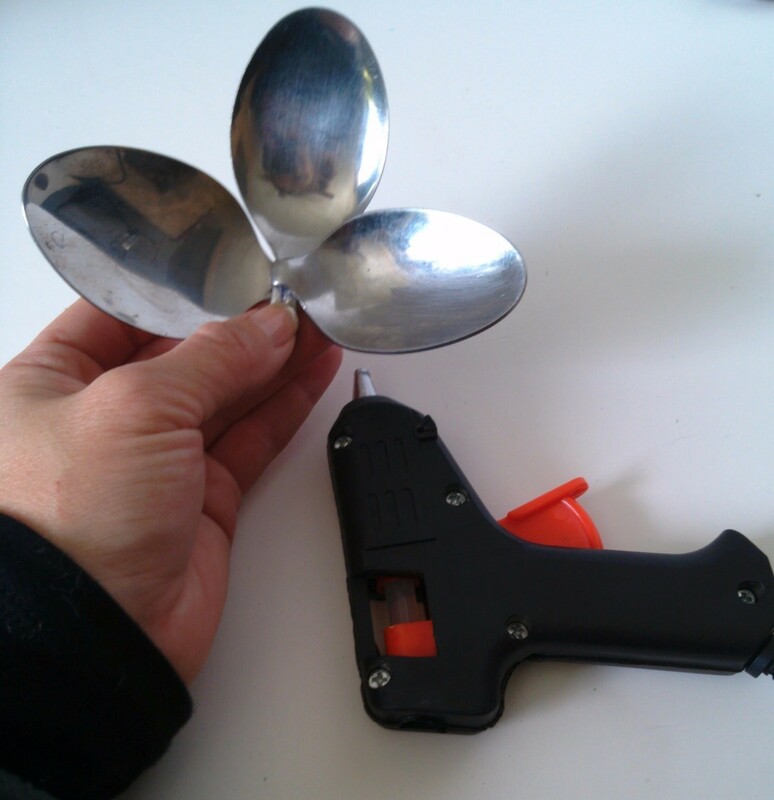 Get unbent spoon and add hot glue around bottom of upright spoon and top of stem. 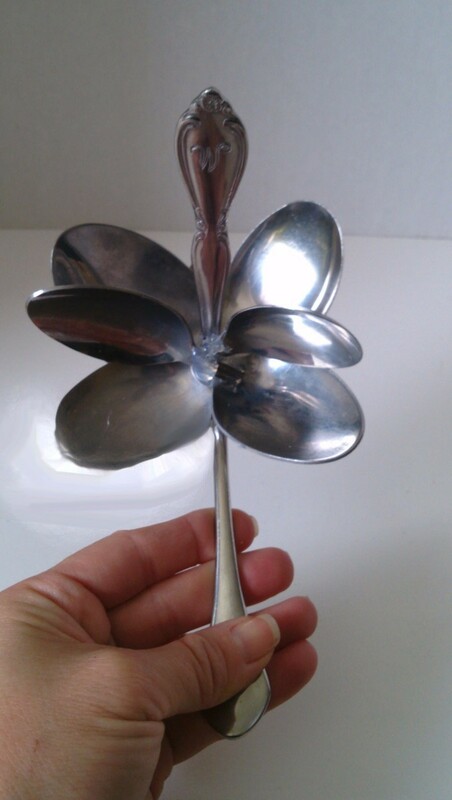 Place spoon (petals) on top and press hard for a few seconds. 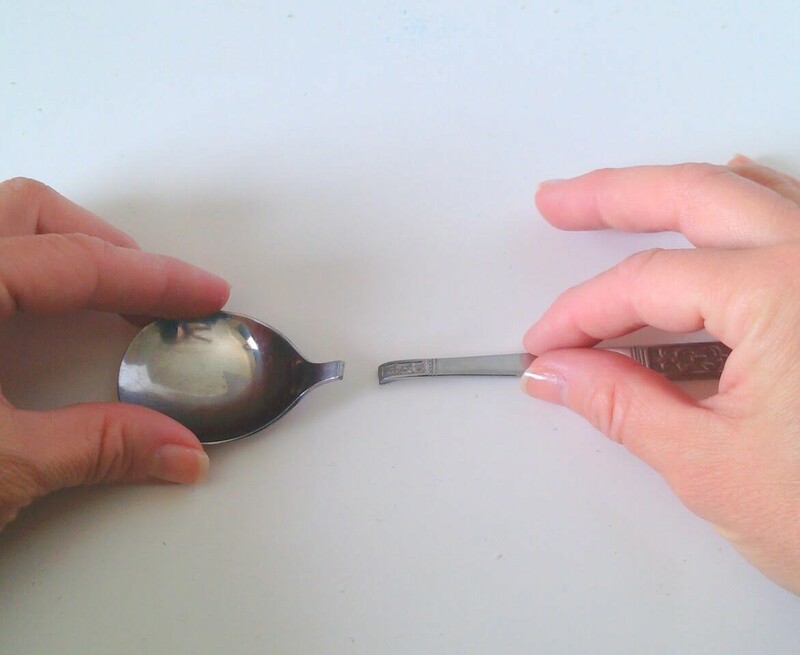 Next choose a bottom end of a spoon to place and glue in the middle. 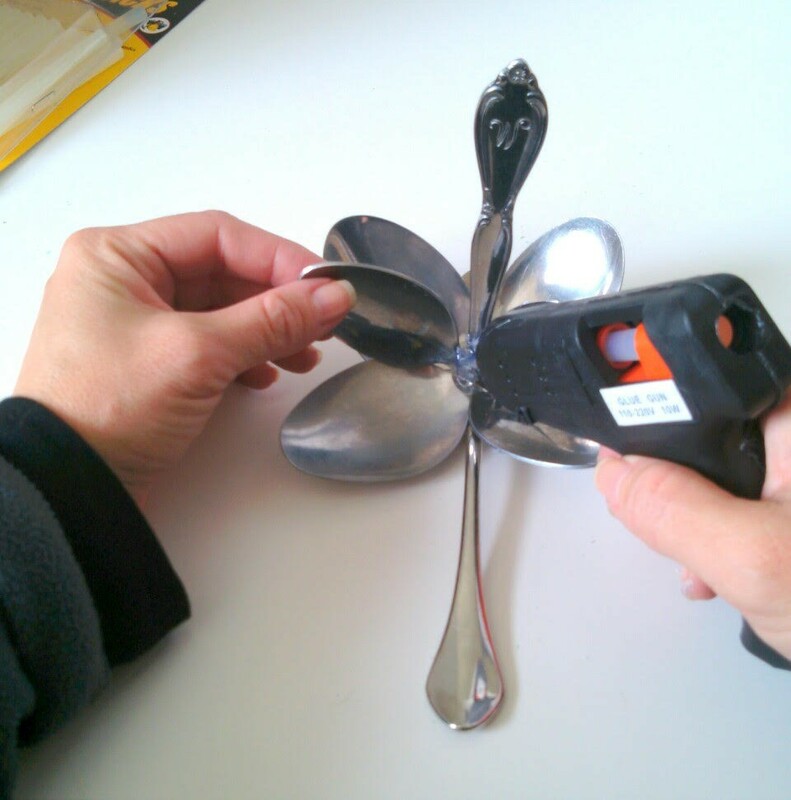 You will also add two more spoons (petals) on the side of it.